On February 20, Parity, Inc. will hold their annual luncheon at the Sinclair Conference Center to honor ten African American men who are leaders in Dayton area communities. Among the honorees is Sinclair's Boikai S. Twe, Ed.D. 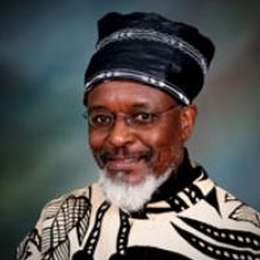 Dr. Twe is Professor and Chair of the Psychology Department and Africana Studies Program. In 1985, Dr. Twe earned his doctorate degree (Ed.D.) in educational psychology from the University of Cincinnati. Dr. Twe is a talented, caring and capable community leader. He has been involved in youth leadership development and violence prevention in the United States and Liberia for over 40 years. Parity Inc. is a community based non-profit Organization dedicated to improving and strengthening the educational, economic and social opportunities for African Americans in Montgomery County, Ohio. The organization grew out of a series of community meetings beginning in 1989 that brought leaders together to discuss how to address the need to achieve social and economic equality for the county's minority citizens as we approached the 21st century.